mAh per display square in. 270mAh/sqrin. 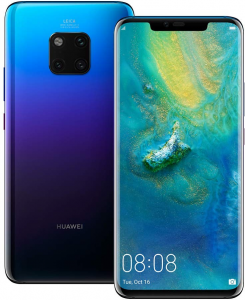 The Mate 20 Pro, by Huawei, is equipped with one of Huawei's most-advanced screens as of 2018 -- a 6.4-inch OLED interface boasting a 1440p definition and a 538ppi pixel density score, while it joins the small group of 2018 smartphones equipped with selfie cams that break the 20-megapixel resolution threshold -- it dons a 24-megapixel front cam. To wrap it up, it blusters with a rarely-seen triple-lens camera system made up of a 40-megapixel primary lens, a 20-megapixel wide-angle lens, and an 8-megapixel telephoto lens. 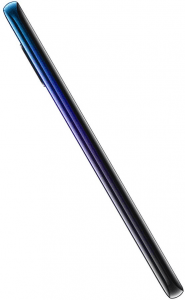 Pros and Cons Review Huawei's Mate 20 Pro lacks a standard (as of its release) 3.5mm headset jack, but it does boast a triple-lens rear camera led by a 40-megapixel RGB lens as well as a 6.4-inch 2K-1440p display. We analyze its specs in this technical pros-and-cons assessment. (more) More Huawei phones See all the most recent Huawei phones.